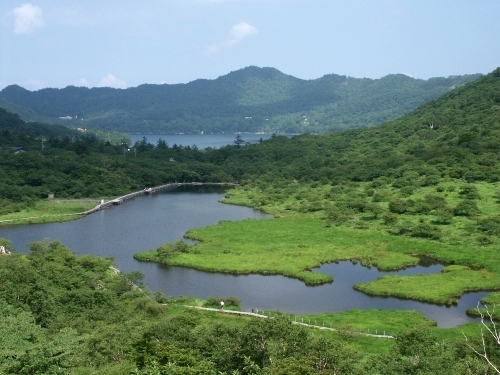 This is a nature preserve called “Kakumanbuchi” which is near ABC. On the right you see Mt. 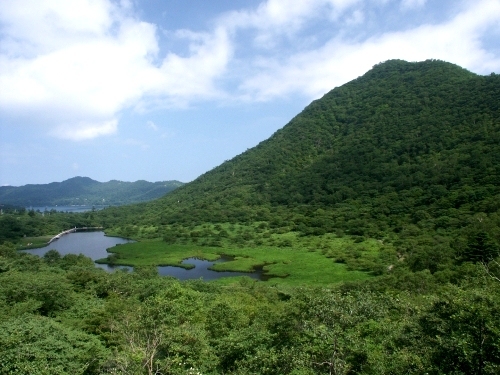 Komagatake, one of the many peaks that make up Mt. Akagi. Do you notice that it’s the same area shown in the header up above? Here is a slightly different angle of the same nature preserve. You can see the boardwalk which goes around the pond. 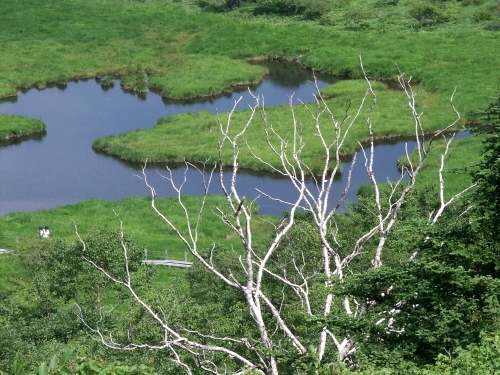 In the background is the main lake which is called “Onuma” or literally the “large pond/marsh”. 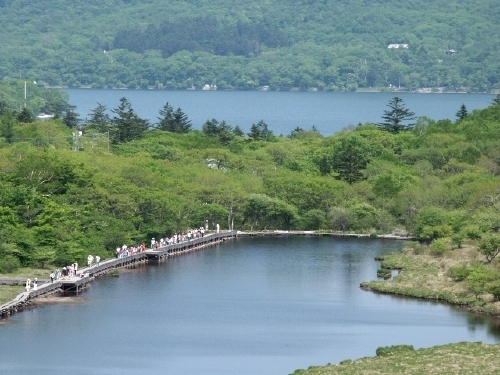 Here you can see one of our camp groups out for a hike on the boardwalk. 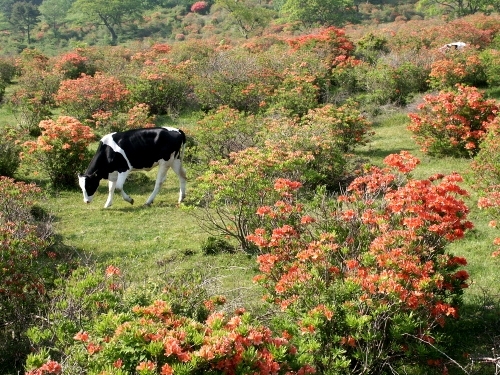 In the summer cows graze in some of the meadows on top of the mountain. 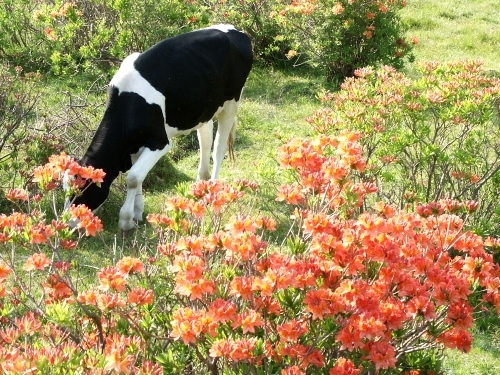 Here you see one of the cows grazing among the azaleas which are in full bloom in the middle of June.